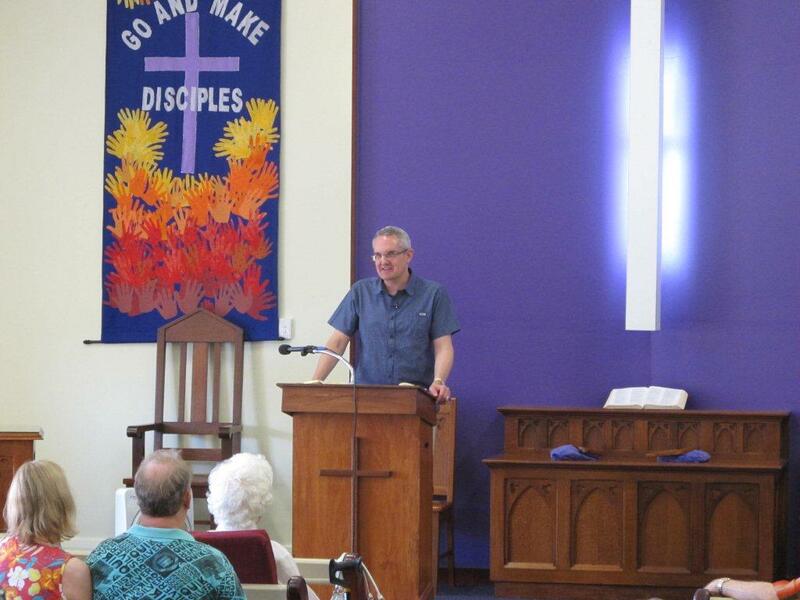 One thing that really stood out on my visit to the Presbytery of North Queensland was the “easy ecumenism” of the region. My comments have been pubished in the current issue of Journey. Big public events like Stable on the Strand in Townsville or Carols by Candlelight in Atherton involve a range of denominations that is astonishing to a southerner. Everyone seems willing to get on board for the sake of witnessing to Christ – Anglican, Assemblies of God, Baptist, Catholic, Churches of Christ, Pentecostal, Presbyterian, Wesleyan, and numerous independent local churches. The same is true of the street chaplains serving Townsville’s nightclub strip. It’s a demanding, year-round ministry with people of all kinds who are far from their best at three in the morning – and almost all the denominations are involved in it. And there are other ways that North Queensland’s easy ecumenism shows itself. At a Presbytery women’s meeting in Tully I was surprised that so many people had no idea who I was or what a “president” might be. (I’m only just getting used to everyone seeming to know all about me when I walk into a Uniting Church gathering.) But it was because many of them weren’t from the Uniting Church at all. One woman was Lutheran and had fellowship there because there was no Lutheran congregation in the area. Everyone was excited for the Anglican women about the rebuilding in Cardwell of Anglican buildings destroyed by Cyclone Yasi. The guest speaker was an Assemblies of God pastor, who discussed changes in the ministry arrangements of the Uniting Church congregation. And I’m guessing there were others too without any formal link to the Uniting Church who found themselves welcome and valued as members of the one body of Christ. They make ecumenism look easy in North Queensland. Previous Is church union relevant any more?